The year 2018 is fast-rounding off and the attention being­ paid to the 2019 elections, especially the presidential poll scheduled for February 16 of 2019, is getting bigger and bigger. The year 2018 has been full of bad indices for the country: highest number of out-of-school children (32 million), capital poverty of the world, third country with worst maternal mortality rate, and highest number of road fatalities in Africa, among others. Added to all of these worrisome indices is the fate of Nigerian students in her public universities. Resumption of academic activities appears more and more uncertain even as the year gradually fades out. Nigerian students have been forced to stay at home since the Academic Staff Union of Universities (ASUU) embarked on an indefinite strike action on the 5th of November. The union claims the government has failed to fulfill its part of the 2009 and 2017 Memoranda of Understanding (MoUs) agreed to by the federal government. Part of ASUU’s demand is the mainstreaming of the Earned Academic Allowances into the budget of the Federal Government. The union is also demanding that FG releases outstanding payment of N1.1 trillion from the agreed N1.3 trillion revitalization fund agreed in 2013. Former President Goodluck Jonathan was said to have released some N200 billion in 2013 for the commencement of the project which cut across 84 public universities in the country. However, the federal government is said to have failed to make subsequent payments of the fund in 2014, 2015, 2016, 2017 and 2018. These, among others, are said to have precipitated the union into the current strike action. While ASUU’s intentions are commendable, especially in the area of revival of territory education in the country, it is necessary for the FG and the union members to note that students bear the brunt of their actions. 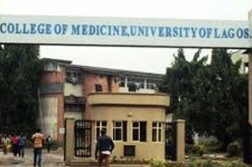 As usual, the strike action has stalled academic activities including examinations, completion of academic calendars, resumption for new semesters and sessions and graduation of students in some universities. It should be noted that failure to end this strike this year is unhealthy to the country and to the education efforts of its fast increasing youthful population. Even the Independent National Electoral Commission (INEC) confirmed this fear last Thursday. INEC’s Information and Education Committee chair, Festus Okoye, has warned of the implication of the strike action on the 2019 polls. “It is important that students in federal tertiary institutions should and must be in school at least a month before the February 16 Presidential and National Assembly elections. “They are a critical resource and their absence will have adverse effects on the ad hoc requirements of INEC,” Okoye was quoted as saying. 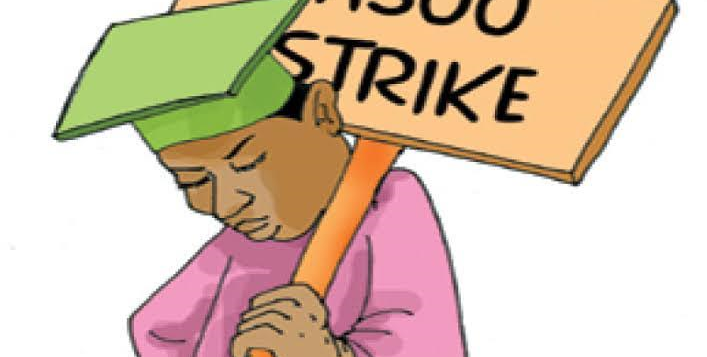 With just six days more to the New Year, and 10 days more before the strike turns two-months old, it behooves the FG and ASUU to agree to a concession in order to aid the plight of helpless Nigerian students. We, therefore, enjoin the federal government to take decisive actions (ASUU has frequently accused the FG of making empty promises) with regards to meeting their parts of the agreement while the union leadership, too, should soften their minds, ready for concession. We also call on the National Association of Nigerian Students (NANS) and other relevant stakeholders to put more pressure and voice out against this nightmare public tertiary education in Nigerian has become infamous for.